East Coast Vs. West Coast: Which is More Pet Friendly? Unless you haven’t been around the pet blogosphere much this week, I am sure you have already heard all about Go Pet Friendly’s Best City for Pet Travelers Tournament. When the deadline for submissions came up, I half-heartedly entered Halifax. Not necessarily because I believed it was the best city for pet travelers, but because I am loyal to my new hometown. I never thought it would make it past the first round. Shockingly, Halifax soared into round two with ease. All of a sudden, I realized my city had a fighting chance. Maybe, just maybe, we could go all the way! With the trash-talking Pamela goading me on, I did my best to spread the word and encourage voters. As a result, Halifax out-paced Annapolis and slid into round three! The competition has gotten pretty stiff now. Seattle, Washington is proving to be a force. I am not surprised. From what I hear, Seattle has it all: mountains, ocean, parks, markets, and (more importantly) great pubs. However, with all the great momentum on our side, I am not giving up without a fight. Seattle may think it has it in the bag, but Haligonians are not quitters. After everything they’ve dealt with – explosions, hurricanes, and transit strikes – taking on the much larger city of Seattle is nothing in comparison. However, if Halifax is going to make it to round four, I am going to need your help. 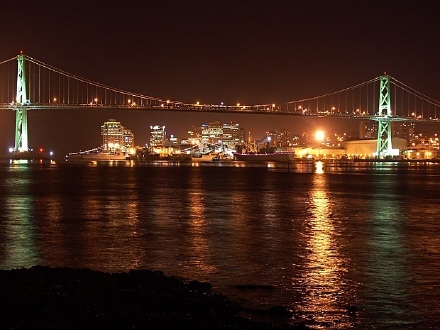 A vote for Halifax is not just a vote for beer and lobster. While we have both in spades, please don’t think all we do is sit around chugging Keith’s and licking butter off our fingers. There are many exciting places to visit and activities to enjoy, all with the company of your furry friends! 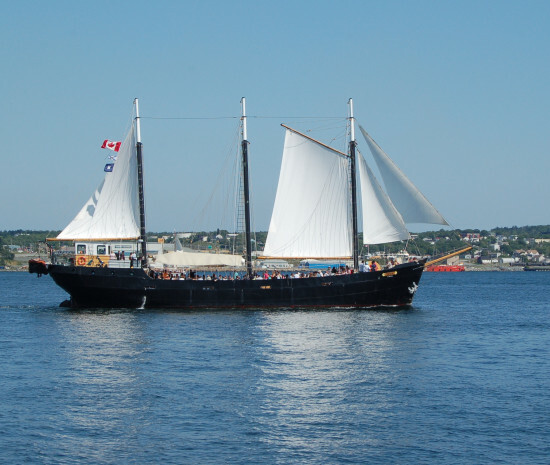 Want to take a cruise on the Tall Ship Silva? It's piratey AND pet friendly! A vote for Halifax is a vote for dog parks with scenic views! There are seven official 0ff-leash parks in Halifax. 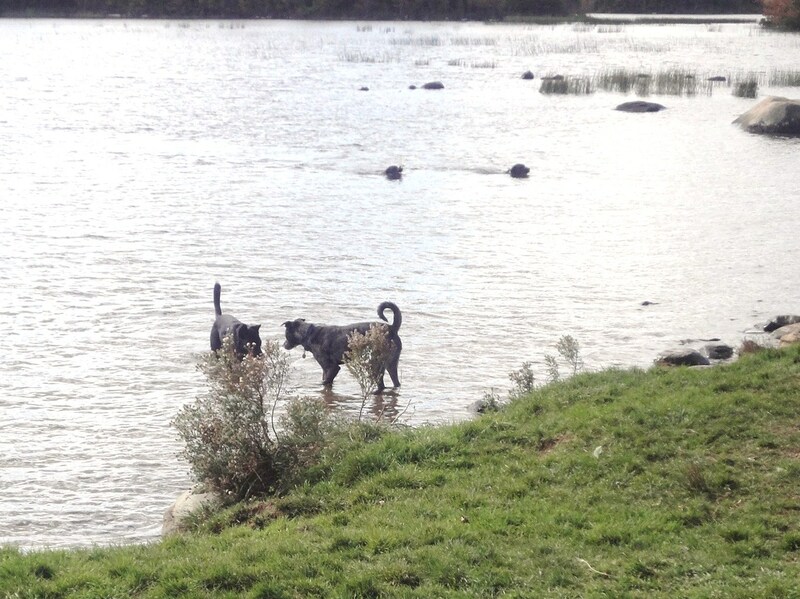 Furthermore, from November 1st to May 1st almost all of the local sports fields are open to off-leash dogs! It doesn’t get any better than that! Point Pleasant Park is a lovely spot in Halifax to let your dog stretch her legs off-leash while taking in some beautiful views of the harbour. Your dog may even get a spotlight in a popular local blog! If you are visiting in the summer, why not take in a performance of Shakespeare by the Sea? A vote for Halifax is also a vote for dog beaches! Considering we have more lakes than one can count, there are plenty to spare! Also, during the off-season months, which pretty much make up most of the year, almost all the beaches along the coast are dog-friendly. It’s one of my favourite ways to spend a Sunday afternoon with Shiva. There is nothing like a game of tug with a piece of driftwood while breathing in the salty air of the ocean. There is much pet-friendly fun to be had at during Halifax's Pride Festival! Please don’t discount all of the wonderful pet-friendly festivals held in downtown Halifax over the summer. A vote for Halifax is a vote for Halifax International Busker Festival! For the outdoor jazz festival! The dragon boat festival! And of course the famous Tall Ships Festival, returning this year! I don’t want to overload you with information but this doesn’t even sum up all of the great pet friendly options available to travelers in Halifax. If shopping is your thing, check out this link for great information on most of the local businesses that welcome pets. If you’re looking for munchies, Halifax is home to numerous food trucks with a variety of tasty options. There are also several local pubs with outdoor patios that are happy to allow your pooch to hang out by your side while you sip a cold brew. 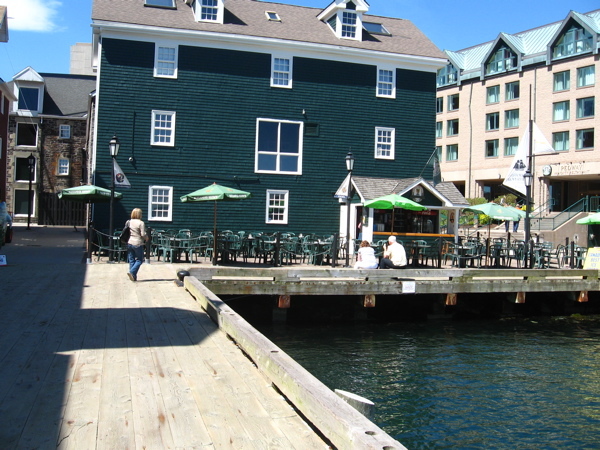 The Lower Deck is a local favourite for this very thing. If all this still isn’t enough to convince you that the East Coast is where it’s at when it comes to pet friendly travel, then I guess I’ll understand if you vote for Seattle instead. 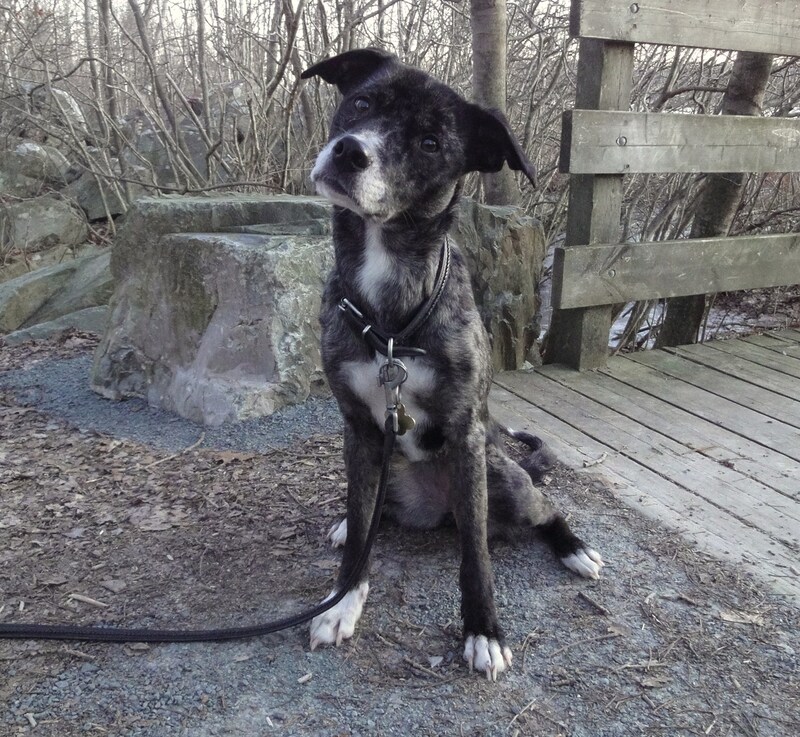 But if you do choose to vote for Halifax, you’ll be making one little rescue dog very happy. Do you really want to make Shiva cry? No? Then vote for Halifax in Go Pet Friendly’s Best City for Pet Travelers Tournament! It’s the decent thing to do! How could anyone say no to that face? A vote for Halifax! Dog, who could look into those eyes and disappoint Shiva?!? And then when you throw the beer and lobster in there, it’s impossible to consider voting the other way. By the way – now I totally can’t wait to see Halifax this summer! It sounds like we’ll have plenty of things to do and that tall ship cuise is high on my list. Yep, you’ve convinced me. And that was before Shiva’s cute manipulations. But best of all, I’ve learned what Halifaxites, I mean Halifixians, I mean Halifoxes, I mean Haligonians call themselves (besides lucky). Great post. You should definitely submit a tweaked version of your post for one of the place reviews at Go Pet Friendly. Have you considered a future in politics? Oh Kristine, for shame – throwing in that low-ball plaintive remark about possibly making Shiva cry to someone (like me) who lives on the west coast of Canada, not three hours north of Seattle. Oh Kristine – you’re so bad. But I’m a sucker for girls in general so we voted for Halifax. So you now “owe” me – YouTube video of a synchronized Shiva and Kristine 360 roll here we come. Yay! I would never have thought to take my pet to Halifax, but it looks like Rex would fit in there just fine. Maybe we’ll have to make it our vacation destination for this summer. I am certain that we would enjoy a visit to Halifax, but as a Seattlite, I’ve got to say, you’re going down! We’ve got dog parks everywhere, all sorts of out door festivals (last year we took the dogs to the Cheese Festival which, btw, is not the best plan with a Beagle). Dogs are welcome in every bank I know of, and even most Starbucks baristas don’t even blink when the smaller dogs come in. I am still afraid of what will happen if Halifax and Cape May go up against each other! I’ve been to more East Coast places that West Coast places, and I think that the East rules!! Besides, it would be pretty mean to make Shiva cry. I didn’t get my vote in fast enough. I totally would’ve picked you. Halifax looks like a wonderful place to visit with dogs. Very nice pics and descriptions. I love that you have seven dog parks. And they are scenic. I really loved this post! I’ll be pinning it on pinterest! LOL! I am so sorry if I made Shiva cry. I just finally got to your post now! This is a very interesting post hare…thanks a lot! I love a city with a boardwalk (it looks a bit like the one in Burlington Vermont, along Lake Champlain). I’ve never been to Halifax but you convinced me. I’m voting for it! These post is hook my interest.I agree we should vote for halifax. I think West Coast and East Cost are both pet-friendly because it is such a nice place.